You don’t have to refinance your house to upgrade your wardrobe. Thanks to Indochino’s holiday sale, you can get a a fancy bespoke suit for only $299. Indochino offers countless bespoke suits, made for every need, be it business or casual. You just measure yourself at home in 10 minutes using Indochino’s easy online instructions, and the company creates a sophisticated fit tailored just for you. Choose from a full line of high-end fabrics and customizable colors, designs, linings, lapels, monograms, you name it! In honor of the holidays, the online male fashion leader is going for broke with its 12 Days of Deals Door Crashers sale. From plaid to houndstooth to classic corduroy, you can nab select suits for only $299. There’s a suit on sale for any occasion that requires you to dapper up. Here are a few reasons you should take advantage of this sale to upgrade your formalwear. This deep teal wide twill suit is summery and bright while still perfectly formal. It’s made of 100% Marino wool so it breathes well. You’ll be cozy and sweat-free all year in this number. If you’re looking for a suit that’s all business, you can’t go wrong with a grey double check suit. Impress your new prospective boss at a job interview, or stand out in the office while you’re climbing the corporate ladder. This is classic Don Draper, right here. When you want a suit that looks equally well at a wedding, company party, or even a deposition, always bet on black. This midnight plaid crepe weave suit blends form, function and the often overlooked comfort. In just four weeks you’ll be strutting around in a new suit. 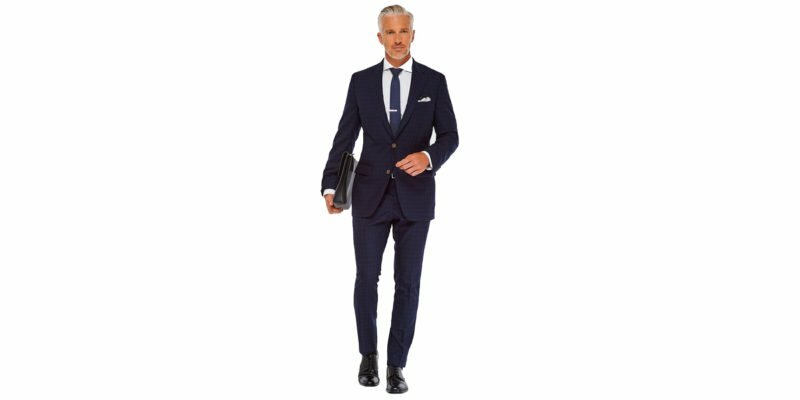 Shipping is free for orders over $150 and if, for some reason, your suit doesn’t quite fit right, Indochino will foot the bill for a tailors alterations. The quality speaks for itself: the company has more than 300,000 custom suits under their belt. Not too shabby. Every dude needs at least one really nice, well-tailored suit. It’s a fashion forward Swiss Army knife for all formal occasions. Visit Indochino to get measured and upgrade your look this month and save hundreds while you’re at it.